Dear EarthTalk: Where are some good "eco-travel" destinations right here in the continental U.S. that I can consider for a family vacation? -- Janet Devino, Brooklyn, N.Y. Many of us are looking to green our lifestyles today and this commitment to Mother Earth can also include how and where we travel. And those of us looking to take a vacation that benefits instead of harms the natural environment no longer have to travel to the ends of the Earth to do so. In the so-called "Lower 48," many resorts and destinations work hard to minimize their impact on the environment. 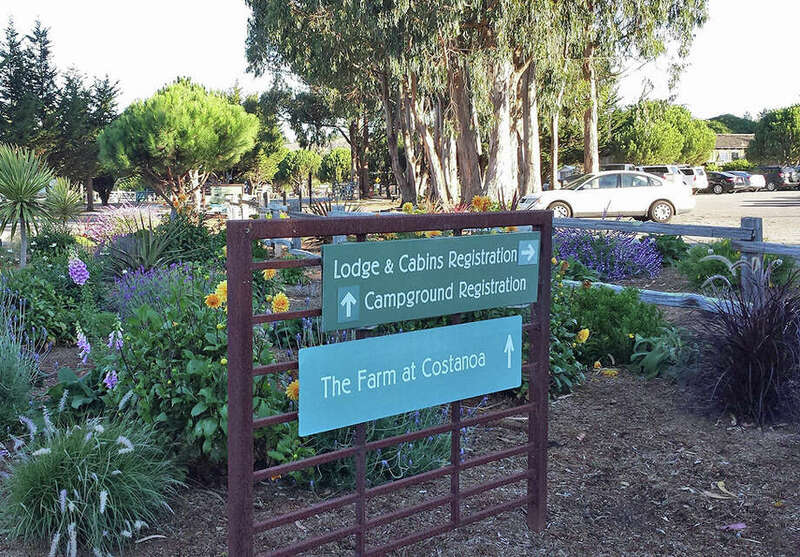 One example is California's Costanoa, where guests can use tented bungalows -- safari-style canvas tents with hardwood floors, heaters and real beds with high thread-count sheets -- as base camps for exploring the surrounding 30,000 acres of state parks and wildlife preserves. Grilling stations for cooking as well as bathrooms with showers are scattered around the grounds so guests can take care of worldly concerns. Interested guests should think ahead as the bungalows book up a year or more in advance. In Washington State, eco-tourists should check out the Rolling Huts, a series of small mobile cabins designed by modern architect Tom Kundig and situated in a field alongside the rushing Methow River amid one of the nation's best networks of cross-country ski and mountain biking trails. The "huts" sleep up to four and are heated with wood-burning fireplaces, while the adjacent restaurant Kelly's serves up local organic fare with panache. If you aren't lucky enough to score one of the six huts, you can always rough it in the canvas platform tents down a footpath and a world away from the everyday hubbub. If a more refined form of green is your thing, try San Francisco's Orchard Garden Hotel, designed from the ground up to qualify for the U.S. Green Building Council's Leadership in Energy and Environmental Design (LEED) status. Among other green touches, the hotel's guest rooms feature keycard-based energy control system, eco-friendly bath products, and decor utilizing natural woods and fabrics. Another option is the Rock Harbor Lodge on remote Isle Royale on Michigan's Lake Superior. Accessible by boat or seaplane only, the lodge offers direct access to the 893-square-mile island wilderness that is America's least visited national park -- where wolves, moose, loons, beaver, fox and other wildlife rule. The lodge rents boats, kayaks and canoes and offers guided fishing and sightseeing tours. Given its northerly location and lack of light pollution, the lodge also serves up free viewing of the Northern Lights. For another type of domestic eco-travel experience, sign up for a trip with Earthwatch, a nonprofit that sends citizen-scientists on environmental research trips with leading scientists. Some of the group's upcoming Lower 48 trips include exploring Boston's urban forest, researching the causes and effects of rising tides in South Carolina and uncovering the mysteries of ancient Colorado. Of course, there are many other ways to indulge in eco-travel without leaving the continental U.S. A simple Internet search for eco-travel and a specific region will surely yield plenty of worthy options for places to go to get away from that computer screen and interact directly with the natural world.